The products is so comfortable and the price is cheap but the canopy is not long. 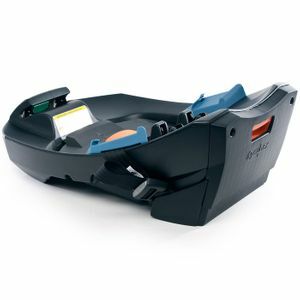 Well designed car seat and base. The base installs easily and saves time transitioning seat into and out of car while being secure. The seat is also easily secured into a car without the base if your taking a cab or using another car. The seat feels much lighter than most other infant seats and is easily carried without feeling awkward. The shade is small and does not have great coverage but is easily corrected by draping a lightweight baby sheet over the shade. Overall a great, very safe infant seat. Had purchased one 2 years ago. And needed a new one. 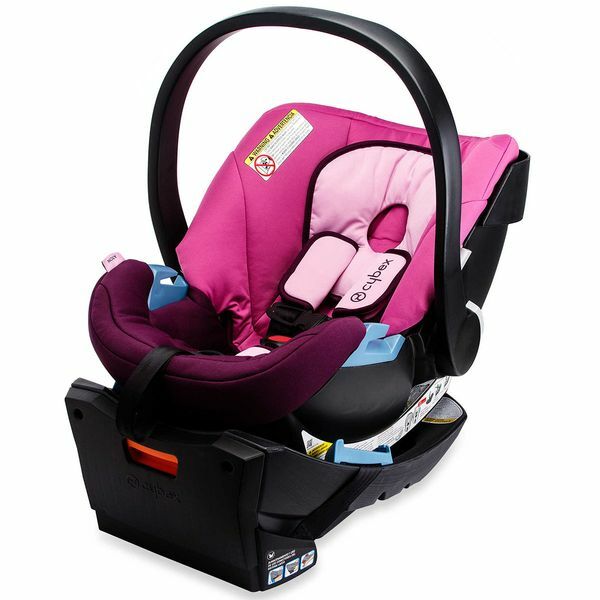 Great car seat, light weight and fits small cars. Very happy that I was able to purchase it again. Great car seat. Just like expected after reading up on it!Hate how short the canopy but everything else makes it worth it. I bought this for my daughter and had it delivered to her home. She lives about 500 miles away and I haven't had a chance to see her or the car seat yet. However, she called as soon as it arrived and told me that it was perfect. She's pretty picky. So I'm taking her comments seriously. She was most impressed by how light weight it is and how well it's made. It also arrived in a timely manner. Thank you for making my daughter so happy. This car seat is great. Nice and compact. The sunshade is on the short side but I bought a sunshade extender or drape a carseat cover and it works perfectly. 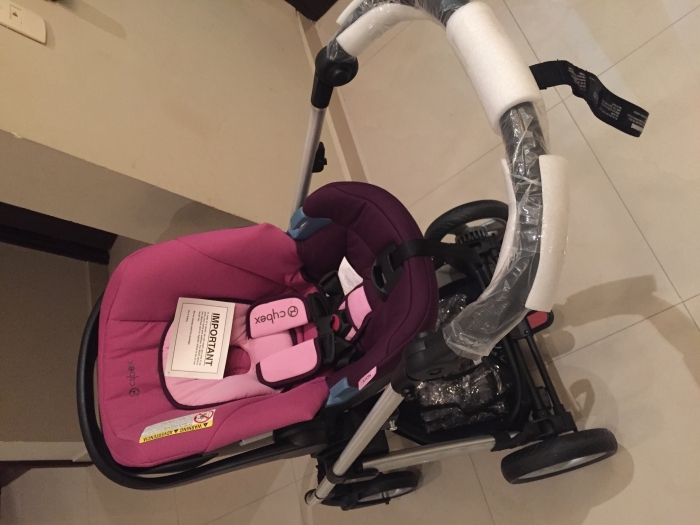 Wonderful seat works with bugaboo chameleon! I got this car seat after lugging her old one became too much. It's lightweight and shaped well to carry. Baby seems comfy and safe. Very sleek look, it gets compliments. Never have any issues with it, just wish the canopy was bigger. Easy to clean the cover and still looks new after 9 months of use. Would buy again for future baby but probably the newer one with bigger canopy. I absolutely love the material used for the seat. The seat is light weight and I love the base! Has the option to incline. I cannot wait to use it for my daughter. This car seat is great looking, not too heavy and easy to use. 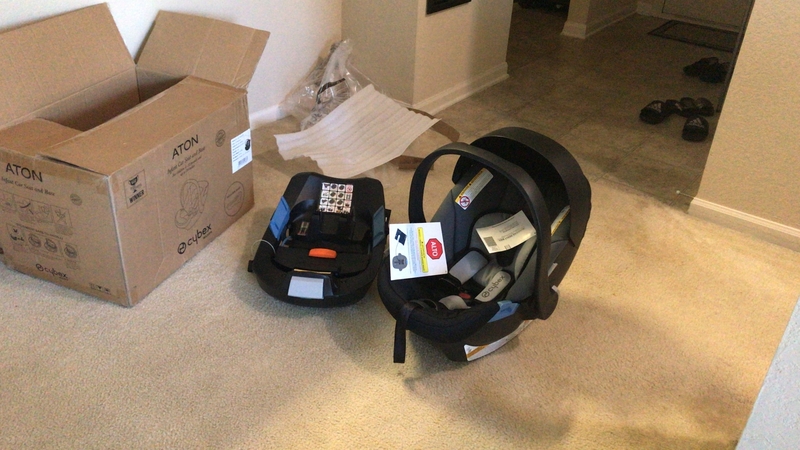 Can't wait to use it with our Uppababy Vista stroller! This car seat is very light and roomy. I used Peg Perego and Maxi Cosi before, but this one is by far superior. I only wish it had more cushioning. Looks nice. Baby sits comfortably. ProsSmall. Good looking. Lightweight. Comfortable straps to buckle baby. Has a travel system that is lightweight and compact. ConsCanopy is really small. Handle is not the most comfortable to carry. Need two hands to unstrap from the base. Not comfortable to remove from the travel system - need some serious muscle (when baby is in the seat, and the bigger the baby the harder it is. 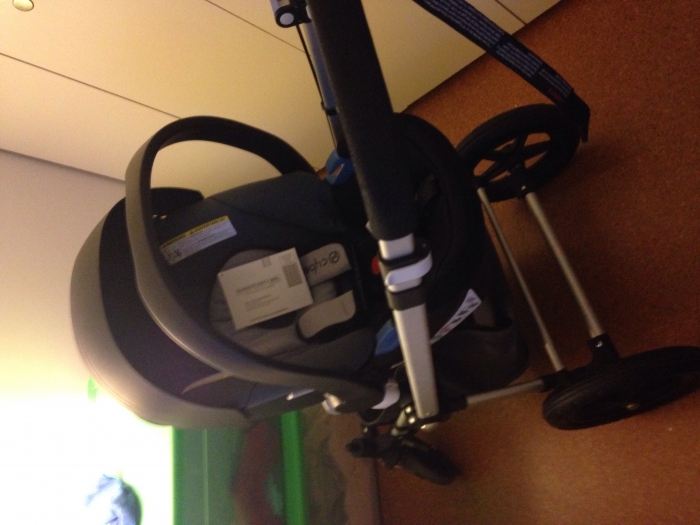 Great car seat...snaps into base and stroller easily. Enhanced Side Impact Protection: A combination of materials such as a flexible, energy absorbing shell, thick EPS foam, and extra thick padded covers, absorb and distribute crash forces away from your child especially during side-impact collisions. Dual Weight Ranges: The Aton's dual weight ranges to help make sure your seat is reclined at the proper angle according to the weight of your child. One range accommodates children from 4ï¿½22 pounds and the other, 22ï¿½32 pounds. European Install: When installing the Aton without the Base, a front mounted belt guide allows the preferred "European" method where the shoulder belt wraps around the front of the carrier adding additional stability. Latest Safety Technologies: The seats are outfitted with the latest safety equipment including an extra wide five-point harness, padded shoulder and buckle belts, premium LATCH connectors, and anti-rebound protection. A Steel Chassis: A solid steel spine running through the Aton Base creates metal to metal contact through the Base, infant carrier, and the vehicle for added strength and properly managed crash forces. Dual Action Release: A green safety button indicates a secure connection has been made between the carrier and the Base. This button is part of a two-step process needed to remove the Carrier from the Base, preventing accidental release. Certified: All CYBEX seats meet and exceed FMVSS 213 Standards and are approved by the FAA for air travel. Innovative Belt Tensioner: The Aton Base uses a unique Belt Tensioning Plate for a quick, simple and secure installation when using either LATCH or vehicle belts. Simply remove the slack from the belts and close the plate for a super easy and tight install. Recline Foot: A four-position, spring activated leveling foot makes reclining the Aton easy. The dual ranges level indicator makes sure your child is reclined at the proper angle. Premium Latch Connectors: We use only premium LATCH Connectors on our Base, making for a quick and easy installation. LATCH Connectors can be stored in the Base for out of the way storage when not in use. Free Latch Guides: LATCH Guides easily hook onto your vehicle's lower LATCH anchors to help make car seat installation easier while at the same time protecting your vehicle seats. Keep a pair in each car for easy transfer of car seats between vehicles. *Not compatible with hook-type Lower LATCH Connectors. CYBEX cars seats offer your baby a plush, comfortable environment, while making it easier on you to use them everyday. Ultra Light Carrier: Weighing just under 9 pounds, the CYBEX Aton Infant Carrier is one of the lightest carriers on the market due to the careful consideration of materials as well as having the release mechanism as part of the Base and not the Carrier. Integrated Canopy: The unique integrated fold-away canopy provides SPF 50+ sun protection for your child while maintaining the sleek style of the Aton. Three Position Handle: A three position handle accomodates carrying and driving, resting, and storage when needed. Premium Fabrics: Super soft, extra padded covers complete with shoulder and buckle pads comfort your child while in the Aton. Infant Insert: Provides more stability to the head and upper torso and also aids in providing a better fit of the harness with smaller children. Newborn Inlay: Properly positions smaller babies for a better fit of the harness and also opens up the torso angle to help facilitate breathing and digestion. Travel System: The CYBEX Aton can be paired with any CYBEX stroller for an ultra chic urban travel system.